Does the majority opinion rule in questions of intellectual freedom? The recent unusually heated response to the Association of Library Services to Children’s (ALSC) decision to change the name of the Laura Ingalls Wilder Award raises this issue. School Library Journal reported the process leading to this change and its result as one of unmitigated conviction, emphasizing that the ALSC Board “unanimously voted” for the controversial transition to the newly named Children’s Literature Legacy Award. Native American activist Debbie Reese, one of the most vocal proponents of the change live tweets the board meeting. All in favor! Nobody opposed. Lot of tears! Only later in the article do readers learn that some have raised objections to the rejection of Wilder’s name, but are reassured by a list of task force recommendations suggesting that the ALSC has anticipated and dealt with negative responses. Two questions immediately come to mind, one practical and one more philosophical. There are twelve members on the board of the ALSC who voted for this change. They invited feedback from their membership prior to finalizing their decision, but this was not a decision made by the rank and file of the ALSC’s more than 4,000 members. How close to unanimous, or even popular, was this decision? The second question may seem to contradict the first. Does the level of support for the change matter? After all, at a not so distant time in American history, a majority of Americans believed that slavery was morally acceptable, women should not enjoy equal rights, and marriage equality was unthinkable. It is inconsistent for the supporters of the award change to rely on bothallegations of popular support, and a selective reliance on the superiority of their insights. Back in February, ALSC president Nina Lindsay asserted that “…Wilder’s work is not universally embraced.” That is undoubtedly true. She informs readers that the Board “voted unanimously…to establish a task force,” allegedly to consider changes to the Award, but apparently to confirm that Wilder’s name was no longer consistent with the values of the organization, prominent among which are “responsiveness” and “inclusiveness.” The leadership of ALSC chose to ally itself with a movement which views Wilder’s name as an inappropriate representative of certain key values. They may well be right, but contending that her legacy is outdated does not erase the many unanswered questions about the potential results of their choice. James LaRue has raised some of these in a rational and tactful way on this blog. Finally, the ALSC board has addressed the issue of a retroactive change in the Award’s name through a complicated compromise. Living authors will have the choice of using either name for their honor; the estates of deceased authors may request a change. I did a quick google search of past winners of the Wilder Award. The current list of past winners is not actually entitled “Children’s Literature Legacy Award winners, 1954 to the present.” To borrow a frequently used term applied to injustices suffered by marginalized peoples, this is erasure. Maurice Sendak, Russell, and Theodore Geisel cannot have wonan award which did not exist during their lifetimes. Another search revealed that some winners of the Wilder Award have clearly voluntarily chosen to adopt the new name of their websites; that is completely appropriate. Others, such as Beverly Cleary, Katherine Patterson, and Jerry Pinkney, still list the Wilder Award on the sites, but the summary of their careers which comes up on Google identifies their honor as the Children’s Literature Legacy Award. The name change of the Wilder Award has occasioned a great deal of discussion. We can hope that most of this will ultimately prove productive. Certainly, respect for increased diversity in the representations of children’s experiences in their literature is essential and most participants in this debate embrace this idea. Let’s not forget all the implications for intellectual freedom, because without that value we can’t move forward. 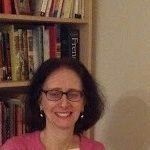 Emily Schneider is a writer and educator in New York City who blogs about children’s literature at imaginaryelevators.blog. Thank you for writing this. Since I am sure that ALSC is going to do everything it can to make it look to the world like there has only ever been a Legacy award, I am cutting and pasting the content of this PDF so that there is at least one record of Wilder Award winners. It is sequences of events like this that make so many fear the Diversity Jedi left more than the Christian conservative right. For people who are so much against erasure and in favor of giving everyone a voice, they seem to have engaged in erasure and de-voicing quite well when it suits them. I hope that ALSC goes through the works of the Wilder, er, Legacy award winners with a fine-tooth comb to make sure that each and every book by each and every author, and the personal life of each author, meet its new standard of fostering inclusion. Geisel could be in trouble for those propaganda cartoons.